Matthew McKay is a clinical psychologist and a professor at the Wright Institute in Berkeley, California. In 1979, he co-founded Haight Ashbury Psychological Services in San Francisco and served as its clinical director for twenty-five years. 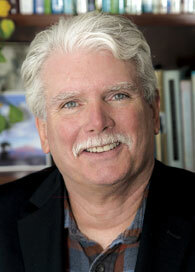 Currently he serves as the director of the Berkeley Cognitive Behavior Therapy Clinic. He has explored spiritual and afterlife issues in two previous books: Why? and Your Life on Purpose. He is also the author of professional and self-help psychology books, including Thoughts & Feelings, Messages, Mind and Emotions, Self-Esteem, Prisoners of Belief, and many others.